Chain mail armor was one of the first armors developed in the medieval era. The Romans used it in the beginning of 2nd century BC. The medieval knights are remembered for their elaborate armors and for their bravery. Our 16-gauge chain mail shirt and hood are sure to keep your skull and skin intact. One size fits most. 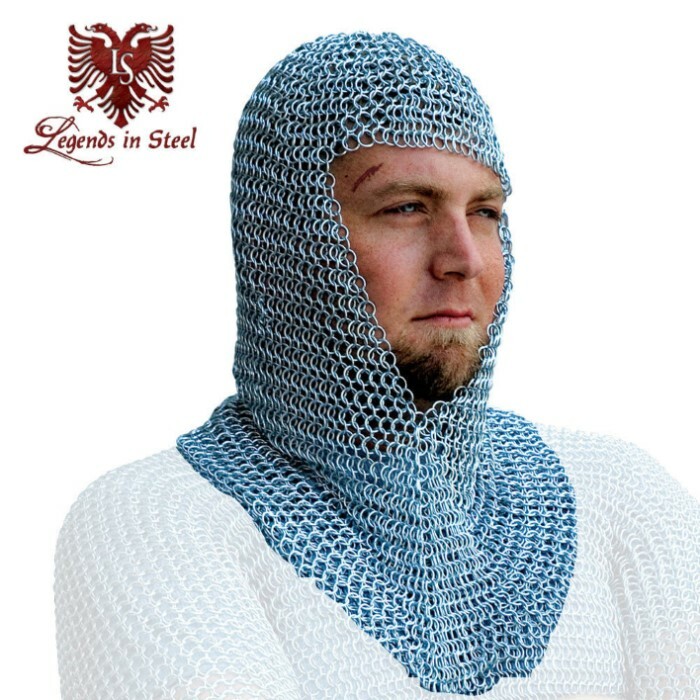 Chain mail shirt sold separately. This hood is worth the value and its Huge!!!!! However there are many imperfections in the rings. A bunch are buckled all over the place. But this is a perfect starter piece to break down and rebuild for the first time. Be aware since it's machine it, hair and textiles will get caught and pulled if you don't fix the rings. Some time and TLC this should go a long way. Just take your time and be patient chainmaille is frustrating art but well worth the wait. I wish we could post pics, I'd show the image inlay I did with this coif. Thanks Bud K. Good stuff as always. I wish they would sell a Templar Tunic then this would be a great add on piece to buy. This is a good product for the money. Mail links are "butted" in the European "1 in 4" pattern and are consistent in size. I also purchased the mail shirt offered on this website. Worth every penny. EXCELLENT BUY! 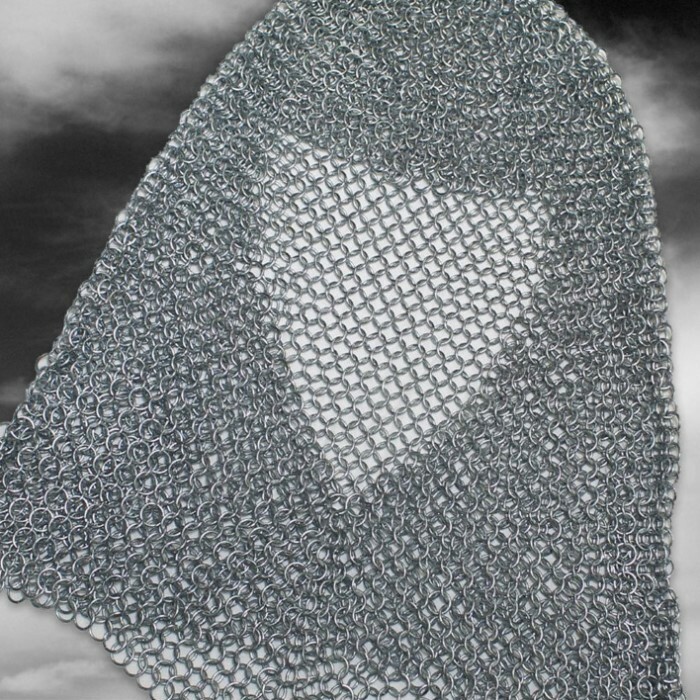 Solid and heavy chain mail hood that is large. Great value. Highly recommend!